Gallimard has acquired the World French rights of Jukka Viikilä’s Finlandia Prize winning novel Watercolours from a Seaside City. Gallimard, founded in 1911, is the largest independent publishing house in France. Throughout the 20th century, Gallimard has published such authors as Albert Camus, Jean-Paul Sartre and Marcel Proust, and is also the home of 2008 Nobeal laureate Jean-Marie Gustave Le Clézio. Watercolours from a Seaside City (2016) is a fictive diary of a German architect, Carl Ludwig Engel, who was commissioned by the Russian emperor to build the capital of Finland in the beginning of the 19th century. The novel has been praised of its lyrical touch and aphoristical observations of life. 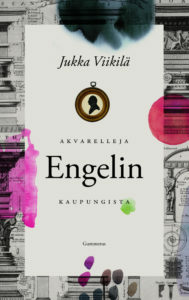 The novel has so far sold over 43,000 copies in Finland. Jukka Viikilä (b. 1973) is a poet, writer, and dramaturge.